YANGON — When Maung Okkar found boxes of old film reels that his father had left, some of the filmstrips had already become as hard as bricks and fused together. Others had not yet reached the stage of total decay, but were degrading. “Some of the films could still be cleaned and recovered. But they would deteriorate eventually if we continued keeping them at our house,” said Maung Okkar, the 30-year-old son of Myanmar’s celebrated late director Maung Wunna, recalling the start of his interest in film preservation three years ago. His father Maung Wunna was an award-winning filmmaker who directed many acclaimed films from the 1970s until the early 2000s. He died in 2011. Images on these film rolls are a heritage and legacy passed from father to son, and from one filmmaker to another. Cinema was a family affair as Maung Okkar’s grandfather Thadu was also a reputable director. “I decided to keep the ones that were still in good condition at the Film Archive office in order to have a good storage enclosure,” he said. Without knowing of the existence of such a film archive until his first visit, he thought that the office might have been keeping many old Myanmar films including his father’s. But he was told there were only a dozen black-and-white films left in the vault; the earliest one was from the 1930s and the latest one from the 1980s, and some were in danger of deteriorating. It made him realize the need to do something about these old film reels. “But I didn’t know what to do or how to do it,” he said, adding that there were no trainings or workshops on film preservation provided by the government or private sector. Myanmar started making films in 1920 and hundreds of black-and-white films, including silent ones, were produced in the country. The period from the 1950s to the 1970s is still viewed by many as the industry’s “golden age,” with local filmmakers producing nearly 100 original films each year on average in a competitive market. However, the public, scholars and researchers cannot watch or study the golden-age films anywhere except when broadcast on MRTV, the state-run broadcasting station. 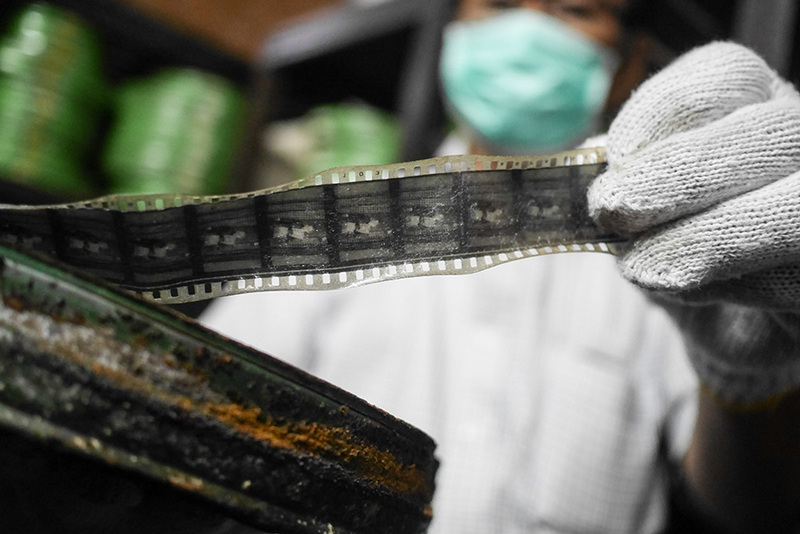 According to the official U Bhone, who is the caretaker of the Film Archive in commercial capital Yangon, there are only 12 black-and-white and 127 color films currently housed at the office. The films are copies of movies that were nominated for Academy Awards or given to the archive by production houses. 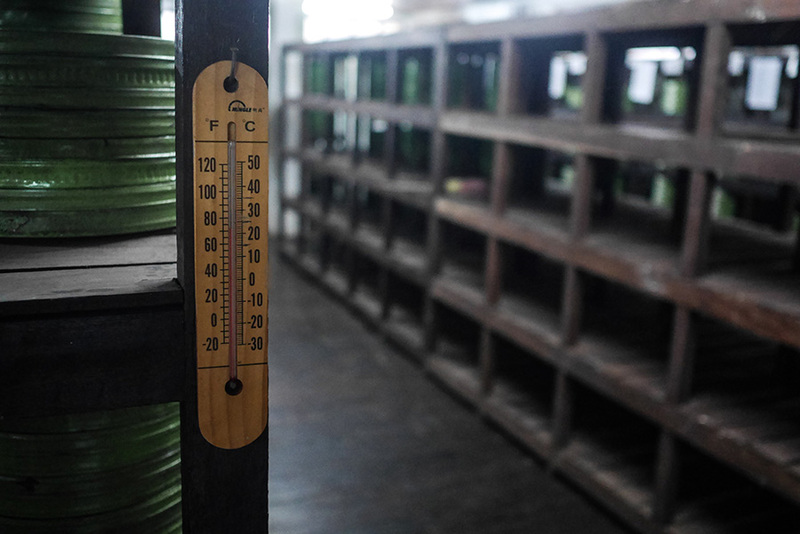 Green-painted metal containers of motion picture and newsreel films are kept on wooden shelves and stored in designated rooms under a temperature of 20°C at the Film Archive office. Some of the cans were rusty and one room was filled with an acrid odor, produced by ‘vinegar syndrome’—caused by acetate-based film degradation. 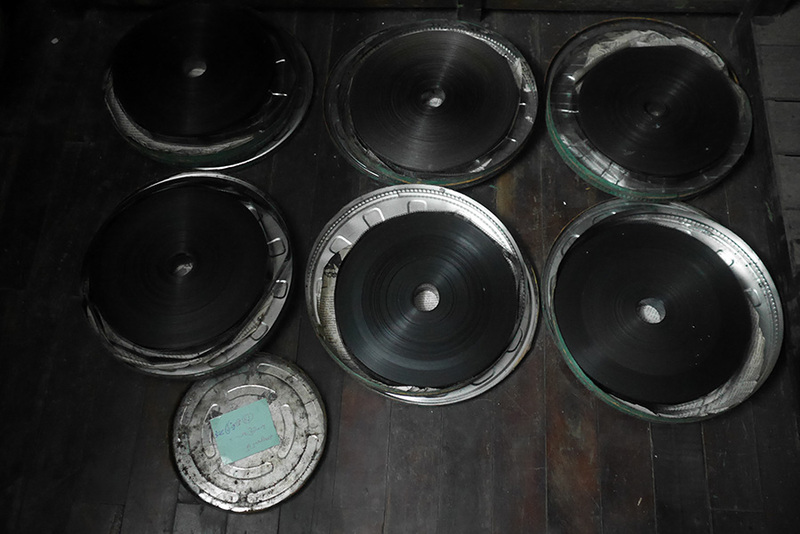 Many of the film reels were exposed to water and a large portion of the collection was damaged due to the Cyclone Nargis in 2008, U Bhone told The Irrawaddy. 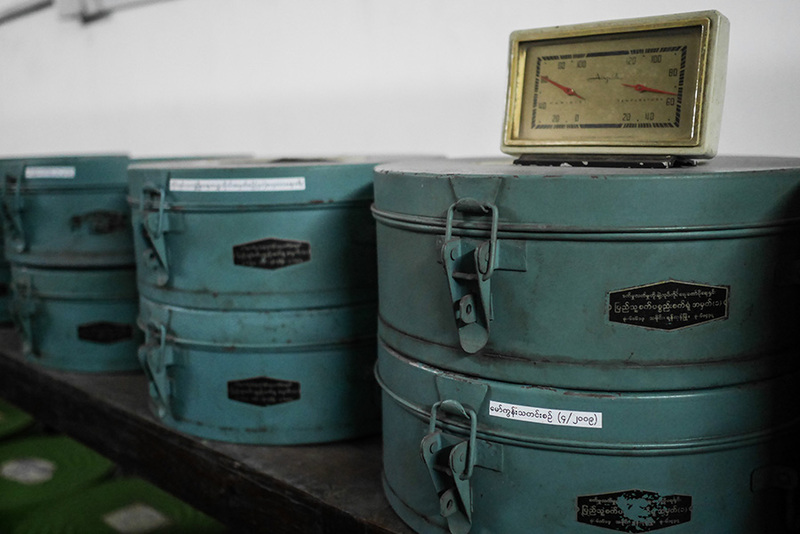 Humidity-controlled vaults with temperatures as cold as 0-4°C are the best environment for delaying deterioration, possibly preserving the films for hundreds of years, Maung Okkar said. Films kept at under 20°C but in high humidity may only last 20 years or less, he added. “The images on these films are a form of heritage and history. I am very sad to see our film heritage kept in such poor conditions,” Maung Okkar told The Irrawaddy. Film reels are damaged every year at the Film Archive office due to outdated preservation techniques. An archive vault with quality storage conditions is urgently needed, Maung Okkar said. Maung Okkar and six fellow filmmakers launched a project called Save Myanmar Film earlier this year and have been trying to raise awareness about audio-visual restoration of films and film-related materials including posters, scripts and photographs. “Filmmakers will only be able to create better work if they have a chance to study how old films from the industry’s golden age were made,” Maung Okkar said. Thaid Dhi, a Czech-educated cinematographer and cofounder of Myanmar’s first film festival Wathann, as well as a member of Save Myanmar Film, said that a film archive serves as a history of a country’s cinema and society, and plays a crucial role for future generations of filmmakers. “Cinema is not just about cinema. It’s an audio-visual record that reflects the history of our society,” Thaid Dhi told The Irrawaddy, emphasizing that the current generations could learn about cultural and fashion changes throughout history in films. “If we don’t know history, it’s difficult to shape the future,” he said. U Myint Thein Pe, a retired director of the Ministry of Information’s Motion Picture Development Branch (previously known as the Myanmar Motion Picture Enterprise) and a former secretary at the then Film and Video Censorship Board, said that old films are a collective learning platform for a young generation of filmmakers to study directing, storytelling and technical methods from the industry’s older generations. “Our country is very bad at preserving heritage. Many classic films with invaluable heritage have been lost recently,” he continued. If old films get restored, he said, those who study filmmaking will be able to learn the different waves of Myanmar cinema over time. While Myanmar was one of the earliest countries to produce films in Southeast Asia, it is late to preservation, as Thailand, Cambodia, Indonesia and Singapore already have functional systems, U Myint Thein Pe said. In partnership with the Goethe Institute, the Yangon Film School (YFS) – a Berlin-based non-profit organization that trains local filmmakers – launched an initiative to inventory and restore existing Myanmar films. YFS hired Maung Okkar to research old films. He said he identified more than 100 titles throughout the country but most of those had been converted to video formats using telecine transfer – resulting in low quality copies as opposed to theater resolution – that are being kept by MRTV. It also restored the 1972 film Che Phawa Daw Nu Nu aka Tender Are The Feet, directed by Maung Okkar’s father Maung Wunna, to digital in 2013. The restored version of the film was premiered at the 64th Berlin International Film Festival in 2014. A film copy of the 1953 film Yadanabon, directed by Maung Tin Maung and shown at the Karlovy Vary international film festival in Czechoslovakia in 1957, was retained by festival organizers and later kept at the country’s national archive. As per authorization of the archive and the copyrighted owners of the film, the local Wathann Film Festival was able to screen a video copy to a wider audience in 2014. In 2015, France-based MEMORY! Cinema Association, organizer of the MEMORY! International Film Heritage Festival, began researching the remaining celluloid-based films in Myanmar and abroad for restoration and preservation projects. The association sent Maung Okkar to Italy last year to attend a six-week FIAF Summer School program of the International Federation of Film Archives, where he learned archiving and restoration techniques—from cleaning films to treatment to digitizing. As the association’s first project, the 1934 film Mya Ga Naing (The Emerald Jungle), directed by Maung Tin Maung who was a prominent director in Burmese cinema history, was restored at the Italian laboratory L’Immagine Ritrovata (The Image Recovered) in 2016. Mya Ga Naing is a silent film that includes scenes of old Yangon, fashion trends of the 1930s, logging under British colonial rule, and Myanmar’s pioneering balloonist U Kyaw Yin who flew his personally-designed hot air balloon across the country. A restored version of the oldest Myanmar film still in existence, Mya Ga Naing was screened at the MEMORY! Film Festival in 2016. If the government doesn’t start doing something, the country will not have these digital copies of old films in the future, Maung Okkar said. 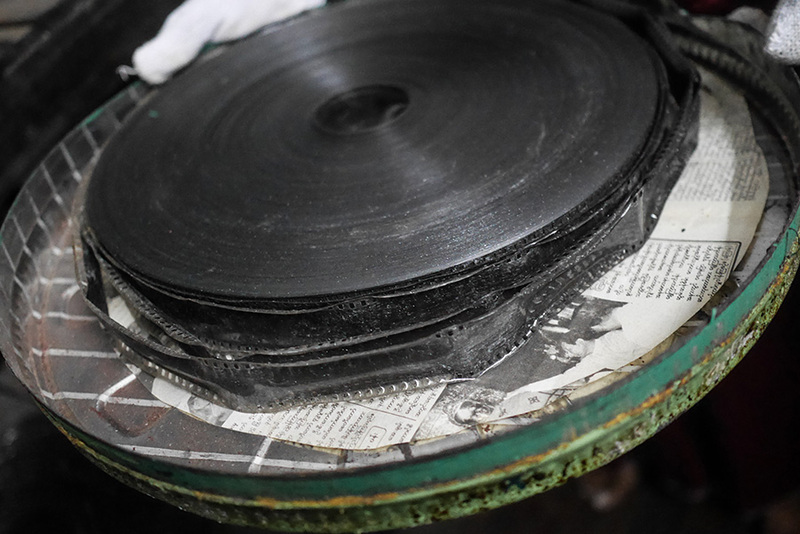 Depending on the severity of the damage, some film reels can still be partially or fully restored with manual cleaning and repair, Maung Okkar explained. But to be able to do so, there must be a proper assessment of the contents of the archive office to identify the condition of each reel, he added. Although many films have been lost, others may still exist in the private collections of production companies, possibly neglected and deteriorating. “But no one will trust an individual like me to repair their films. That’s why we need government action,” Maung Okkar said. Thaid Dhi agreed. He said another reason to urge the government to intervene is so that the public would have access to the collection, highlighting a possible complication over screening rights if a private institution were to do the restoration work. The Save Myanmar Film team met with the minister of information in May and urged him to implement film preservation and restoration work. The group sought permission to initiate a detailed assessment of the collected film reels at the Film Archive office in order to help the government with the technical process. The ministry demanded a more accurate project plan with estimated costs, time and required machines needed for restoration, and it is still unclear if the ministry will even allow the assessment to be done, Maung Okkar said. “Primarily, the films need an archive vault set at an optimal temperature and with lower humidity, which is not expensive,” he stressed. “There are techniques we could use and people who know how to do them. We need to start before it is too late,” Maung Okkar said. “Every old film is unique and original. There is no question that they should be preserved and restored,” he said.